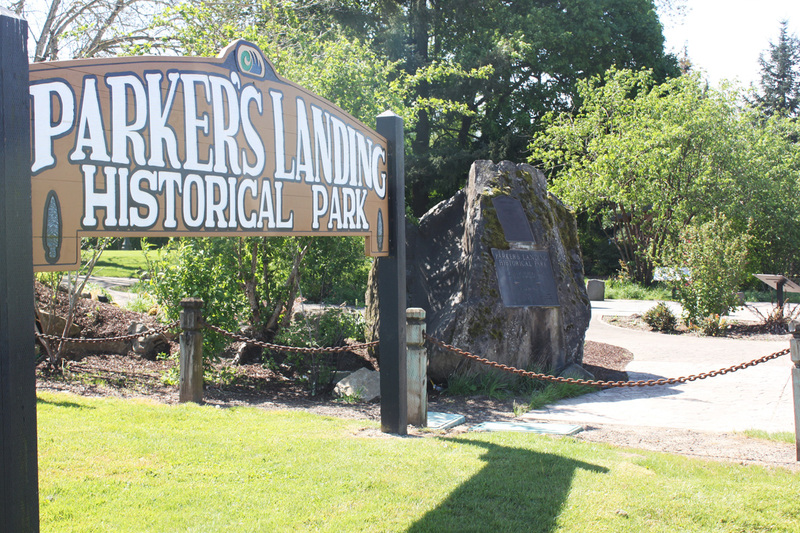 Washougal Wash. – April 4, 2019 – The Port of Camas-Washougal is pleased to announce that after many months of preparation and research, the Historic Preservation Commission voted to accept Parker’s Landing Historical Park to the Clark County Historic Register on April 3, 2019. The Parker’s Landing Historical Park is located off State Route 14 on the Columbia River in Washougal, Washington. It is a 3.88-acre public park owned by the Port of Camas-Washougal. The site commemorates the Chinook speaking Native Americans of the area and the settlement established by homesteader David C. Parker and later stewarded by three generations of the Van Vleet family. The site was added to National Register of Historic Places and the Washington State Heritage Register in 1976. Over the years, the Port has enhanced and added recreational and educational elements such as pathways, benches, picnic tables, a rose arbor, two plazas, an old silo base, a kiosk that hosts interpretive panels, and two veteran memorials in an area near the marina. A committee of the Port of Camas-Washougal, the Parkersville National Historic Site Advisory Committee (PNHSAC) (formerly the Parker’s Landing Park Advisory Committee) provides input toward management of the site and initiated the effort to have the park recognized locally. The addition of the park to the register will help secure the property as a historical park and protect this parcel from future development. The Port of Camas-Washougal strategically invests in developing vibrant business communities that offer a desirable quality of life for local residents. Located only 15 minutes from the Portland International Airport, Camas and Washougal boast waterfront property and spectacular views of the Gorge’s protected natural landscape. Since 2008, the Port has experienced 87% growth with over 123,000 square feet of new buildings space opening to accommodate 19 new businesses in the Industrial Park. The Port’s Opportunity Zone offers appealing tax incentives for investors. The Port is known for its diversity of operations and partnerships with local city government to accommodate business development. For more information, visit portcw.com. It’s our nature to thrive.